Transformer Alarm Clock Doesn't Transform | OhGizmo! By Ilya Kochanov on 08/22/07 • Leave a comment! We all know that anything with Transformer in its name (read: not Transformers) is worthy of being blogged about, so check this clock from The Design Town. 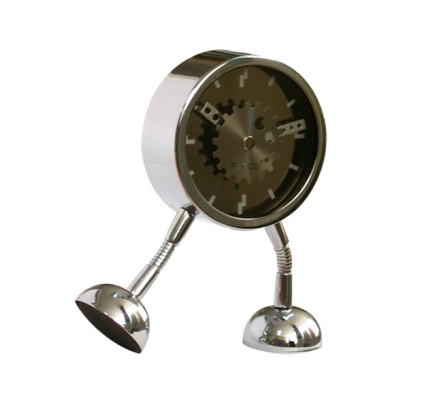 This unique time piece can be arranged in a boatload of different positions which range from one leg to two legs or even one springy leg. The possibilities are clearly endless so pick this up while you can as it is only available for one day. It’s $25.